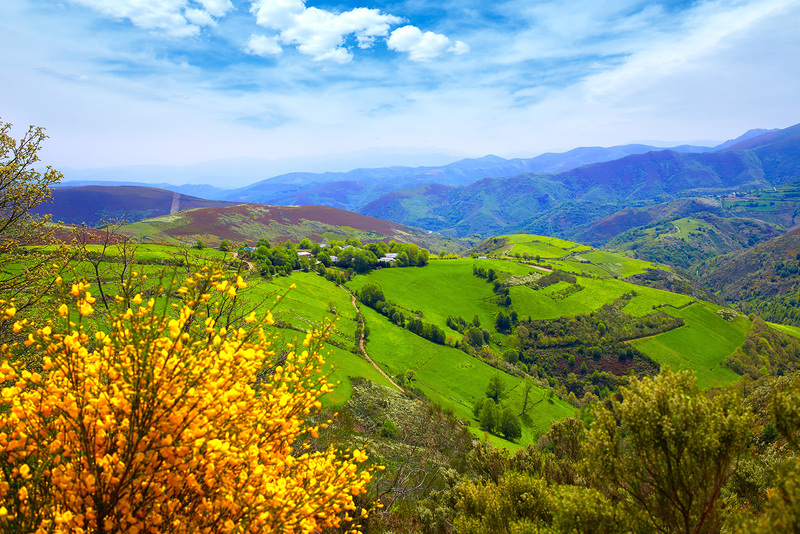 In the wine world, certain vineyards are akin to sacred ground. They behold the perfect combination of sun-exposure, wind-protection, complex soil, drainage, and — let’s not forget — human history. And because of its history, drinking a wine from such a vineyard somehow makes us feel like we are part of the story. But the problem (for most us) is that we rarely, if ever, get to sample the wine from these sacred vineyards. Collectors from New York City to London to Shanghai have driven their price up so high, the rest of us simply will never be able to afford them. Burgundy leads the way in this department; an iconic wine region whose best stuff has been, and remains, inaccessible to everyday drinkers. And you can argue that Barolo and Barbaresco — Italy’s two finest regions, in my opinion — are headed that way. Nine of the top 20 most expensive wines in Italy are from these two areas, according to Wine-Searcher.com. However, in each of those nine cases, the price is driven up less by the “sacred vineyard,” and more by the reputation of the winemaking house. The buzz surrounding the Giacomo Conterno Monfortina Barolo Reserva has less to do with sampling wine from the tiny Francia vineyard near Serralunga (I had to dig deep to find this info) than it does tasting an expertly crafted wine from a family that continues to reaffirm its place in history nearly 110 years after its founding. 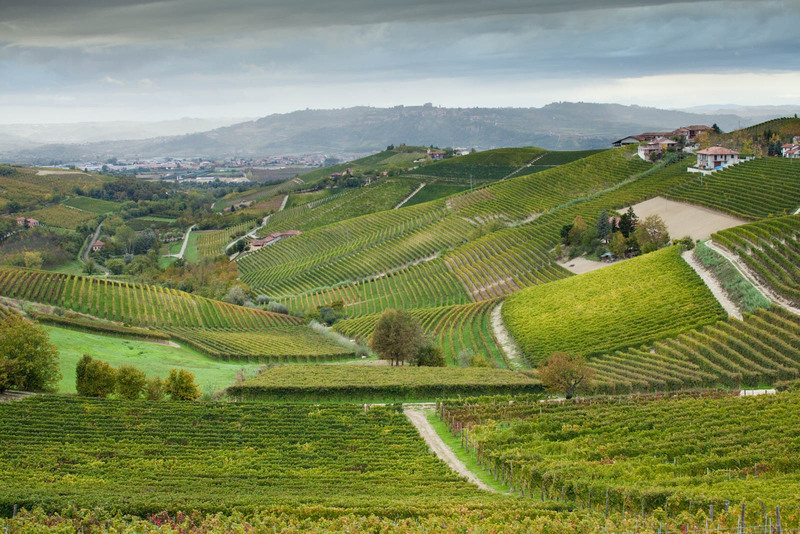 The point is, single vineyards are important in Barolo and Barbaresco, just not in the same way as Burgundy’s Grand Cru. 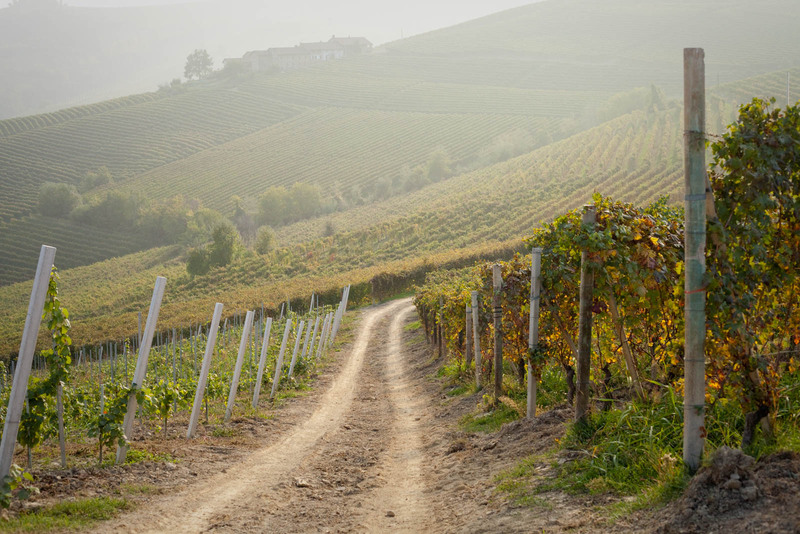 It is often noted that the best vineyard in Barbaresco is Martinenga, a nearly 12-hectare plot of south-facing hills composed of blue marl soil. 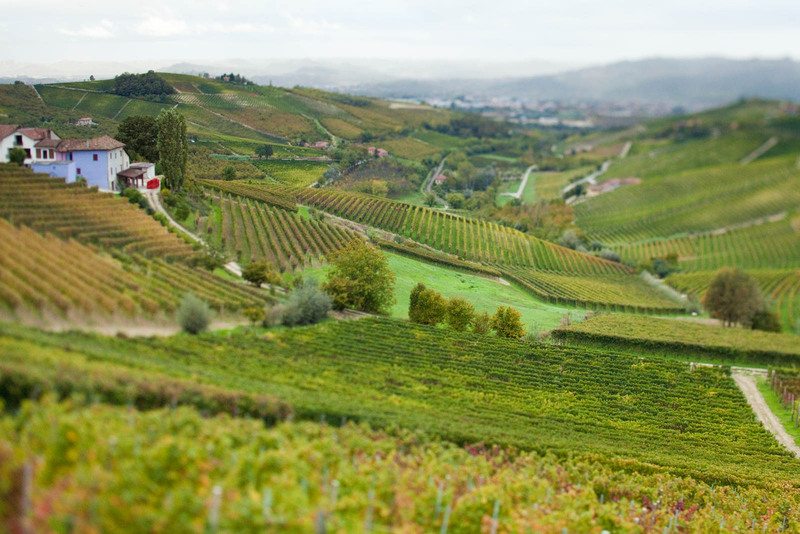 Martinenga is said to have its own micro-climate that keeps growing conditions level even in bad vintages. But one has to wonder if its title of “best” also has to do with its ridiculously rich history. Today, the entire vineyard is owned by Marchesi di Gresy, the winemaking house of a noble family who acquired the vineyard in 1797. That in itself isn’t historically significant. But the fact that an ancient temple to the Roman god of war once stood on the site certainly is. As is the fact that the Roman Emperor Pertinax was apparently born at Martinenga. These historical nuggets have no empirical affect on the grapes, but you’d be foolish to say the vineyard isn’t more compelling because of them. Until 1973, Marchesi di Gresy sold its grapes to area winemakers, who in turn would clamor for them because, at the time, Martinenga bottlings set the benchmark price for Barbaresco. Even then, it was considered the best site. Since then, Marchesi di Gresy has shifted to estate bottling, opting for a mix of traditional and modern winemaking techniques for their three bottlings of Barbaresco. Depending on the vintage, their maceration can be long (up to 20 total days) which is a hallmark of the traditional school, but their oak aging is a mix of oak casks and barriques, the latter of which is a hallmark of the modern approach. When I was provided a sample of this wine by Marchesi di Gresy’s importer, Dalla Terra Winery Direct, I was ecstatic. Here was a rare chance to have a “sacred vineyard” wine without ponying up hundreds of dollars. 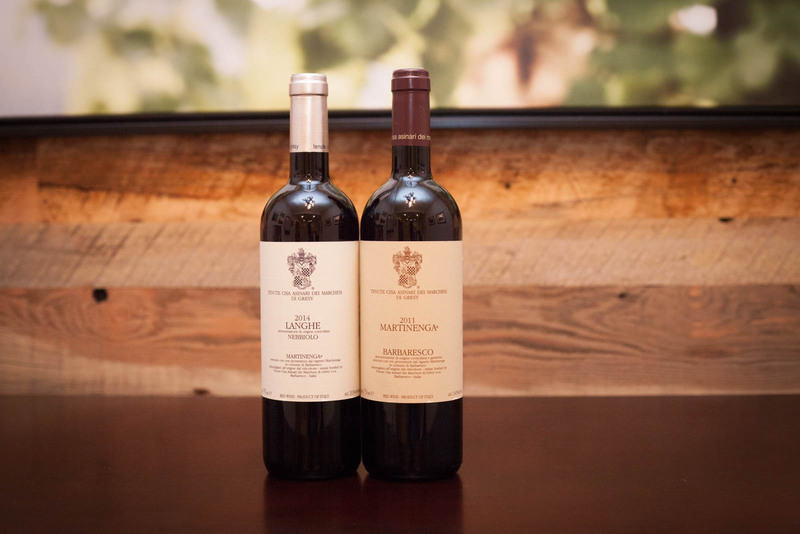 They provided me with the standard bottling of Martinenga Barbaresco, as well as the Martinenga Nebbiolo Langhe, which uses lesser grapes from the same vineyard and a shorter maceration. There also make two “cru” Barbaresco bottlings which come from tiny, well-defined plots within the vineyard and are even more coveted because of how well the grapes ripen within these tiny areas. We started with the 2014 Martinenga Langhe Nebbiolo (★★★ 1/2). Langhe Nebbiolo is often seen as Barbaresco Lite, but I sincerely feel this bottle was the brawniest Langhe Nebbiolo I have ever had. It was meaty, tannic and roaring. A hell of a wine for the price ($20), and probably worth aging five to eight years to truly appreciate. I’m not sure my tasting gave it justice given its youth. A few weeks later, we opened the Martinenga Barbaresco from 2011. Once again, I felt like we had jumped the gun. This one needed some significant aging. The aromas were massive and complex but a bit aloof for me at first. It was hard to delineate one note from the next, but the overall sensation was amazing. On the palate, the tannin and acidity masked quite a bit of the fruit. This happens with young Nebbiolo, particularly traditional ones that employ longer maceration. But ultimately, after two hours, my palate was able to interpret some of this wine’s massive flavors: plum, cherries, roses, licorice, mushroom, vanilla and that signature bit of tar. 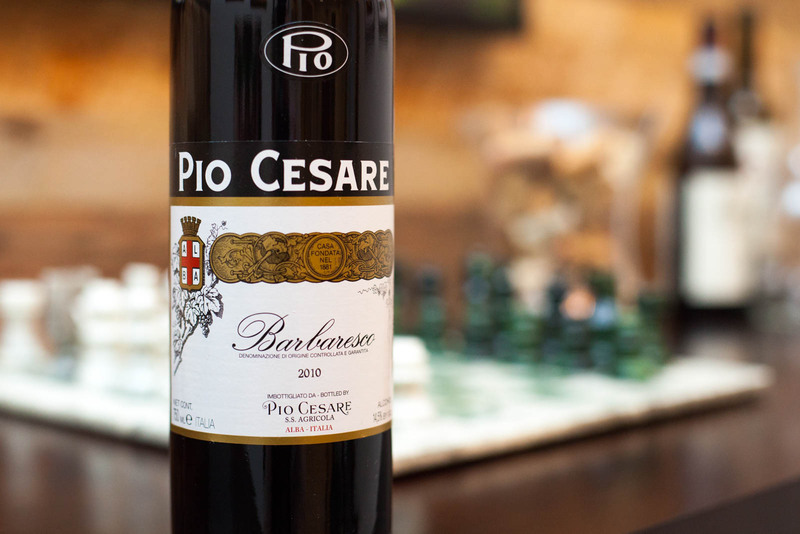 If you think Barolo is brawnier than Barbaresco, this wine might make you think twice. It wasn’t until after we enjoyed the bottle that I looked up the price and realized how “affordable” this wine really is. Given Martinenga’s reputation for consistency and excellence — as well as that Pertinax touch of a great story — it’s surprising to see it ringing in for $50 for the 2011 vintage. Not cheap, but then again, Barbaresco never is. This might be one of the better bottles from the region to buy as a trio and cellar, possibly opening at the eight-, twelve- and fifteen-year marks. The Martinenga is a wine with persistence. Which sadly, old Pertinax could never say about his reign as emperor. Tasting notes: A wine that requires a lot of digging, but rewards drinkers who prefer their Nebbiolos to be tough, powerful and poignant. 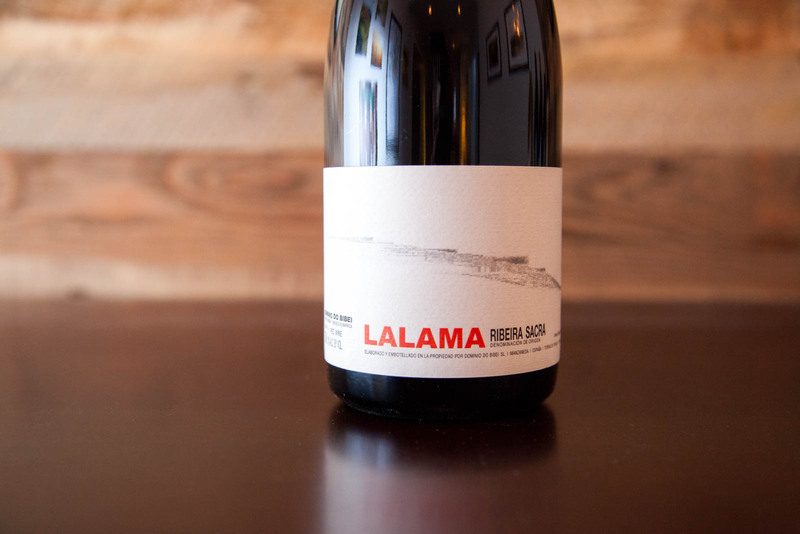 Aromas recall a trace of plum, licorice and vanilla, with hints of earthy mushroom. Fiercely tannic at first, requiring significant air to reveal its fruit. Dry finish. This wine needs a few more years to mature, and would probably reward drinkers a lot more after 2021. 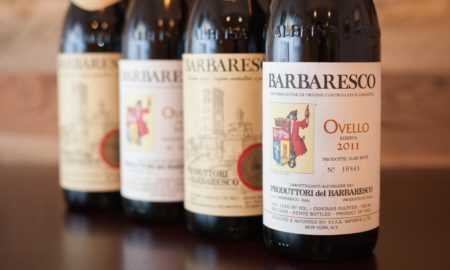 Recommended for: Due to its power and concentration, this Barbaresco pairs best with grilled red meats, especially lamb chops. Try to enhance its woodsy quality with side dishes that emphasize mushrooms and herbs. Note: Both wines featured in this article were provided as samples from Dalla Terra Winery Direct. Learn more about our editorial policy.